THSC offers exclusive benefits to our THSC Partner Groups. Help families locate groups, find your group on the list or find other groups on our handy map. THSC encourages groups to connect with our Regional Groups across Texas. Not sure if your group is considered a support group, co-op, or another type of home school group? The THSC Support Group Definitions page provides clear explanations. Are you considering starting a home school group? THSC has created this comprehensive guide to help you launch and maintain your group. Stay up-to-date on the latest home schooling trends by reading these relevant articles written specifically for home school group leaders. Submit your group information to THSC to be eligible for THSC Partner Group benefits. 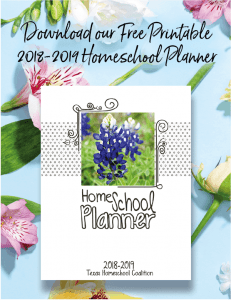 Home school group leaders get exclusive access to resources available to THSC Partner Groups. THSC hosts annual events designed specifically for home school group leaders. THSC makes regular presentations to home school groups across Texas. The presentations encourage and equip new and veteran home schoolers as part of our mission to keep the fire burning that ignited the original home school movement.